Kraft Heinz is making moves to shed its cost-cutting image and forge a new style of brand-building. Last February, two weeks before Steve Chantry started his new job as UK commercial director and chief marketing officer at Kraft Heinz, his employer-to-be stunned the business world by confirming it had made a £115bn takeover bid for FMCG giant Unilever. The plan was swiftly stopped in its tracks when, on the same day, Unilever said it could see "no merit" in a merger, although that did little to stop a flurry of commentary on the supposed clash of cultures between the two companies. While Unilever was painted as being driven by long-term brand-building and social purpose, perhaps at the expense of shareholder returns, Kraft Heinz was depicted at the other extreme – ruthless, with a focus on cost-cutting and short-term results. On meeting Chantry at the European headquarters of Kraft Heinz, housed in London’s The Shard, Campaign asks whether there is any truth in that dichotomy. He concedes that those perceptions are not completely divorced from reality, but he also believes Kraft Heinz has been characterised unfairly. "People talk about Kraft Heinz being a cost-cutting business – I reject those words," he says. "I see us as an effectiveness and efficiency business. We focus a lot of time on understanding what works and what doesn’t." The company has a culture of "ownership", he adds, "where, genuinely, it is your own business and you have the empowerment and the tools to create your own destiny". Kraft Heinz has been located at The Shard since last April, having moved from Hayes, in West London. It is clear that Chantry and his colleagues are rather proud of their new digs. "One of the privileges of our office location is that it helps us attract the right talent," he says. "I’ve never been in a place where the cultural alignment is so strong. It’s pretty exciting to work in a place where people are varied in their style and their background, but are all truly hungry, truly act as owners of their own business, and have a passion for the consumers and the brand. The location in central London helps us to achieve both of those things." Despite this "hungry" mindset, Chantry dismisses suggestions that Kraft Heinz lacks either the belief in brand purpose or the commitment to positive social impact associated with Unilever. He points out that, in partnership with hunger-relief organisation Rise Against Hunger, the company’s employees have personally packaged more than 3.6 million food parcels since 2013 for undernourished children and families in developing countries. 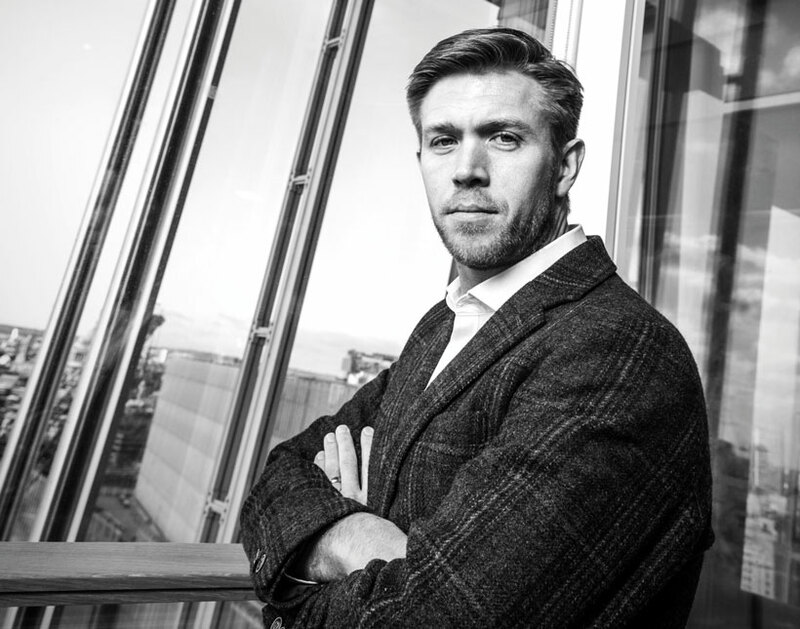 Along with the Heinz brand and company culture, it was the marketing aspirations of Kraft Heinz that convinced Chantry to make the move from his previous role as UK marketing director at Birds Eye. "If you read about [co-owner of Kraft Heinz] 3G Capital companies, we’re seen as fantastically strong financial managers of our organisation, but not historically the best marketing organisation," he admits. At the time Chantry joined, though, he says there was a serious desire to become "the greatest marketing company in the world". He wants to undertake big, ambitious marketing, but is insistent that this cannot be at the expense of immediate results. "I believe in purpose, to be clear," he says. "There’s very definitely a purpose for the Heinz brand that’s much bigger than delivering the P&L. What’s unique in Kraft Heinz is we’re able to manage the mix in doing both." another chapter in what Chantry refers to as a series of "fallow years". While, not surprisingly, Chantry is unwilling to criticise the work of his predecessors, it is clear that he views Heinz’s marketing in previous years as lacking in ambition. Referring to beans and soups – two of the brand’s three biggest-selling products, the third being ketchup – Chantry says that "historically our advertising has been about reminders of why people loved them". That manifested itself in messages about warmth, comfort, and familiarity. "But what [the advertising] didn’t do was address what we call the core ‘jobs to be done’," he adds. By this, Chantry means the challenges faced by the brand that marketing has the power to address. In the case of baked beans, the "job to be done" was boosting awareness that the product was low in fat, but high in fibre and protein. This makes it a suitable choice for a range of dietary regimes, from the traditional to the trendy. "That’s a really powerful benefit to the consumer that was relatively unknown," he explains. 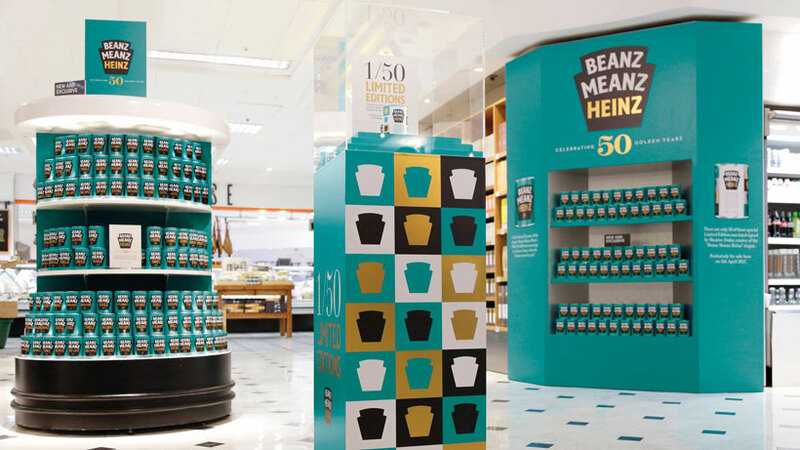 However, this approach to its messaging got the brand into trouble last November when the Advertising Standards Authority ruled that one of its ads, created by Bartle Bogle Hegarty, had suggested that Heinz’s baked beans had the same nutritional profile as a protein shake. Chantry remains undeterred. "There was a finding we respected in terms of the exact execution of that," he says. "But on the core nutrition messages we wanted to land, the ASA is right behind us." Chantry is alive to the battle for attention faced today by marketers. "The demands of our consumer and their ability to ignore advertising if it doesn’t give them what they need has never been higher," he says. This has led the company to adopt an "act not ad" mentality, which translates as doing things, rather than just talking about them. 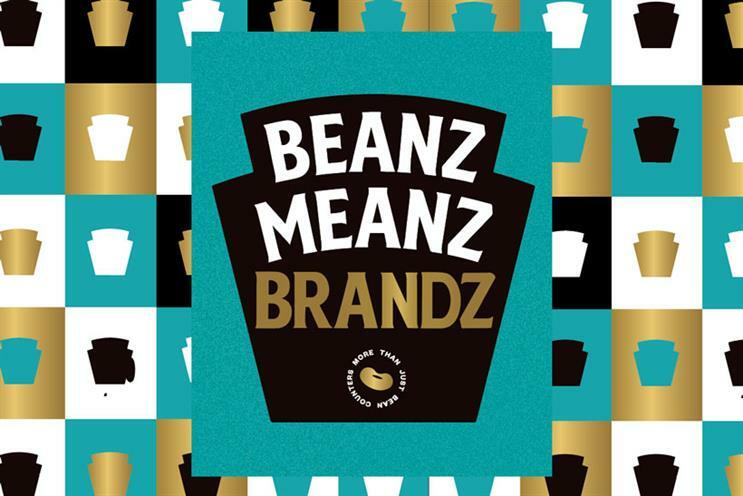 The most significant result of this so far has been the 50th anniversary celebration of the "Beanz meanz Heinz" slogan, for which the brand released 50 limited-edition labels, allowed fans to order personalised cans online and sent a branded double-decker "dining bus" on tour around the UK. This campaign, Chantry claims, generated more than one billion earned-media impressions. Alongside a sharper approach to marketing, the company has refreshed its product range. In January 2017, it launched a version of its baked beans with no added sugar. On the one hand, this appeals to a growing consumer concern, but it also serves to keep the business on the front foot should the government decide there is a case for extending the "sugar tax" on soft drinks to food. Last summer, Heinz introduced its Soup of the Day as a variant sold in cartons, which, Chantry says, is helping with the "job to be done" of convincing consumers the product is made using natural ingredients. Perhaps the most interesting launch of the past two years, however, has been its Seriously Good Mayonnaise. Rolled out in 2016, it competes head to head with the one brand that has long dominated mayo sales – Hellmann’s, which, of course, is owned by Unilever. After Seriously Good began to eat into Hellmann’s market share, Unilever hit back. It gave its brand a visual revamp and stepped into Heinz’s backyard with the launch of Ketchup under the Hellmann’s brand. Chantry is dismissive of suggestions of a stoked-up rivalry. "The reason we launched into mayonnaise is nothing to do with who plays there," he says. "We identified a category that’s ripe for re-invention. We brought something to the market that was able to add a new spark into the category. What’s great is that, in response, the other guys have chosen to wake up as well." The combined efforts to revitalise the business seem to be taking effect. "What we’ve achieved this year is a true transformational turnaround," Chantry says. "The penetration of tomato ketchup is growing for the first time in living memory. The beans category is in strong growth – the strongest we can find. We’ve relaunched our frozen-food portfolio in the last few months, and the result is we’re back into growth in frozen, too." For some marketers, hiring people with the capability to master both data and creativity is a serious challenge. Chantry says he hasn’t encountered this problem. He does admit, however, that being "unashamedly always performance hungry" imposes its own challenges. "All marketing to me involves a good level of analytics, because you need to know what you’re trying to achieve," he argues. "But being able to act logically off the back of that, versus ‘springboard’ creatively into a magical space, are slightly different requirements, and the latter is often harder to enable in a business that is chasing its year [to meet targets]." In recognition of this, Chantry is initiating a plan that, some might suggest, is not very Kraft Heinz – creating a team with a specific remit of working on the long-term brand equity of Heinz, without being constrained by P&L requirements. "If you can give people a bit of time to think bigger, they will normally reward you," he says. Sceptics might suggest that Chantry is trying to have his cake and eat it, but he sees no conflict between protecting both your short- and long-term interests. "There’s no limit to the ambition of this organisation," he says. He concludes: "We want to be able to achieve sustainable organic growth, which is, to be candid, not easy in mature categories that haven’t grown historically. But we’ll never walk away from what we’re proud of, which is also that we do believe in delivering performance for the shorter term as well as the longer term."